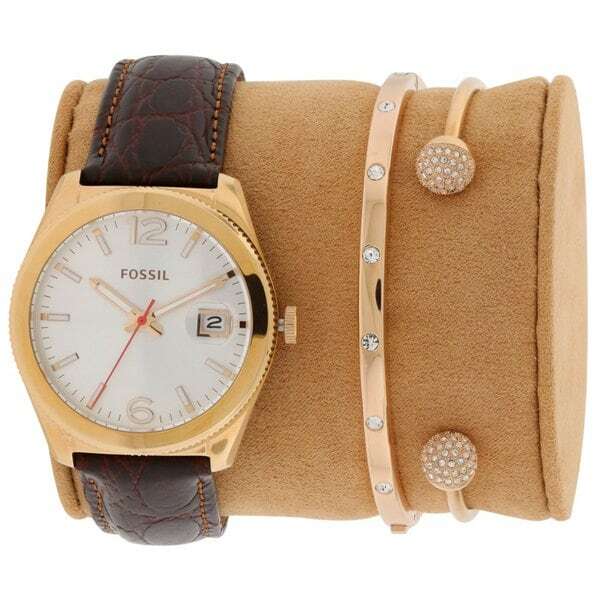 Bring simple sophistication to your everyday look with this rose goldtone stainless steel watch. The round case holds a silver dial with stick indices and Arabic numerals, a date display window at the 3 o'clock position. A leather strap completes the boyfriend style of this trendy watch. This is a beautiful watch but it did not work.